I had such a wonderful time shooting a new look-book video a couple of days ago. It was a collaboration with www.kikikeli.com and I'm so glad that it turned out so well. Most of it is thanks to my talented friend/videographer Zulhairi aka Zool. Check out his works here---> http://cargocollective.com/thejaneproject. More on the shoot in the next post, for now, I gotta go get ready for USS Halloween Horror Nights 4. I'm so terrified, I have no idea why I even agreed to go in the first place. Oh God. Wish me luck. 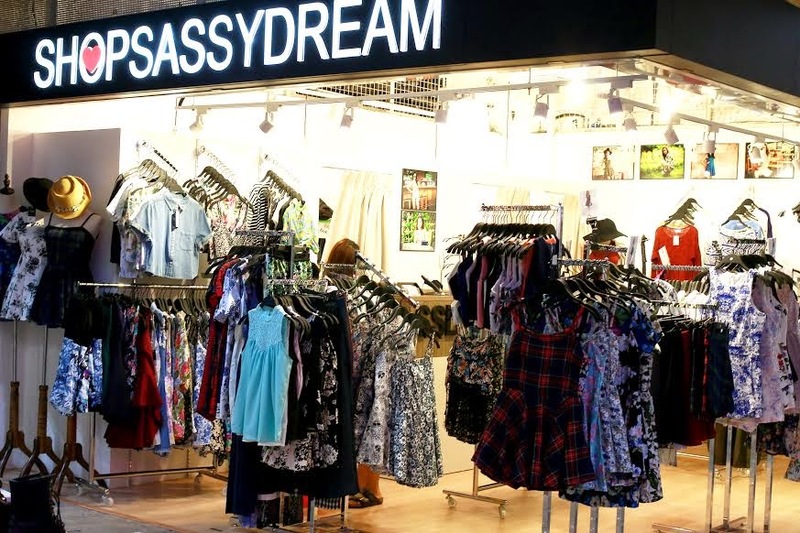 Congratulations to Sassydream for opening her NEW physical store at Far East Plaza! Sassydream has been in this industry for the longest time and it is owned by some of the most humble people I know. It is so heartwarming to see how far they've come. Their physical store is located at Far East Plaza #01-80. 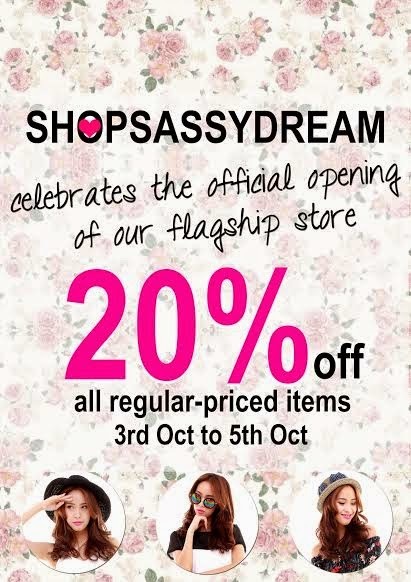 In celebration of their grand opening, they will be having a storewide 20% sales from 3rd to 5th October 2014 - this is inclusive of New Arrival items! Apart from that, a total of 60 goodie bags worth up to $19.90 each will be given away. For more details, follow Sassydream on Instagram @ShopSassydream. 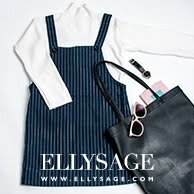 Here are my picks from one of the latest collections. Thank you Sassydream for offering such a gorgeous pair of shades! It's strong and unique cobalt blue hue captured my attention in an instant. It's really rigid and sits on the bridge of my nose very nicely. It isn't heavy at all, neither is it flimsy like most aviators, very sturdy and worth the buy! I love crop tops, bralets, bustiers etc. They're great to wear on really humid days but some times, they look alike and it may seem as though you're wearing the same thing over and over again. Well, not in this case. I love the bold words on this bralet which makes it look a lot different and much more unique than most bralets. It looks great paired with anything as edgy as it is - think leather or ripped acid washed denim? For more updates, follow Sassydream on their social media platforms.